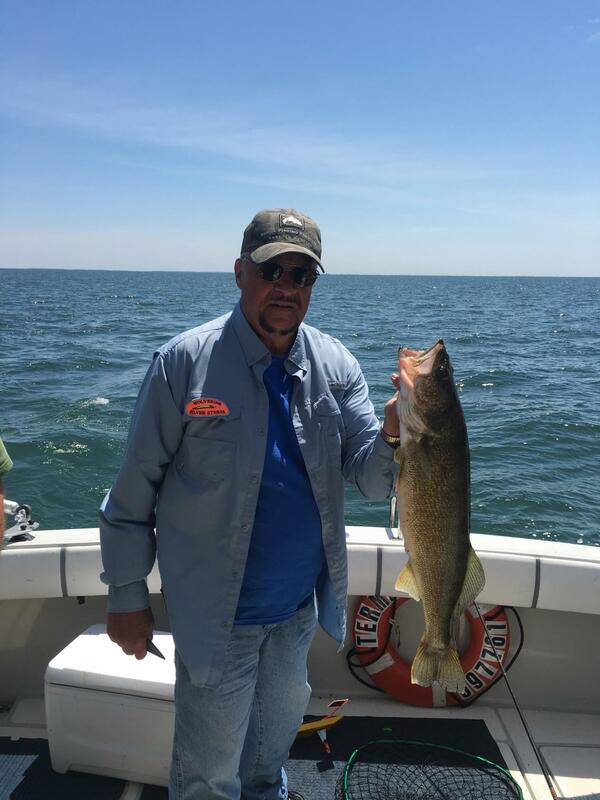 Saginaw Bay has excellent walleye fishing in a lot of locations this past week such as in 24 feet of water north of Gambil’s Marina near Pinconning, as well as in 12 to 14 feet of water off of the Pinconning Bar. Other locations were Northwest of Buoys 1 & 2; Two miles east of the Spark Plug and in 25 to 28 feet of water near the Spark Plug. 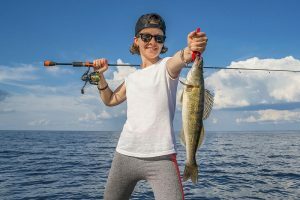 Other anglers reported walleye catches in six to eight feet of water off the mouth of the Kawkawlin River very early in the morning as well as in four to 14 feet of water on and along the Callahan Reef. Crawler harnesses are the go-to bait, but crank baits and spoons are also taking fish. Best spinner colors are green, anti-freeze and chartreuse. It it’s cloudy, try gold, silver, or copper. Best crank bait colors were chrome with blue, orange or gold backs, purple or fire-tiger. Au Gres has lots of boats out, lots of walleye caught with lots of limit catches. Much of the action was in 35 to 45 feet of water out near the shipping channel. Other boats were going north of the Charities and doing well. Au Gres River shore anglers were taking good numbers of catfish and drum. Grindstone City trollers are taking walleye and whitefish on small spoons in 30 to 40 feet of water. Salmon and lake trout were caught in 120 feet of water. A few smallmouth bass were caught in the harbor. 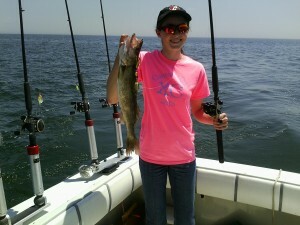 Oscoda is producing a mixed bag of fish including lake trout, salmon, steelhead, walleye, smallmouth bass and catfish. The boats are reporting lake trout, steelhead and salmon catches. Reports are that the lake trout are suspended in half of the water depth you are fishing. Steelhead and salmon are in the lower 2/3 of the water column. Most reports are in water depths of 90 to 120 feet of water off lead core, dipsey’s, copper, down riggers with a wide spread. Spoons, mainly dark colors, are working the best. Walleye and smallmouth along with catfish are being caught off the pier. Walleye and catfish are hitting off the pier in late evening. Port Austin salmon and steelhead are scattered in 40 to 70 feet in depth but lake trout can reliably be found near the bottom in 70 to 100 feet of water. Start shallow early in the morning and work deeper as the sun comes up. Walleye fishing is slow. Tawas pier fishing at Tawas Bay is in ‘summer mode’ with a few bass, drum, and catfish being caught and some of the local kids are fishing for and catching carp. Boat anglers out of Tawas are catching steelhead out past Buoy #2 in 50 feet of water to almost up on the surface. The steelies are apparently in there taking advantage of the hatching mayflies. 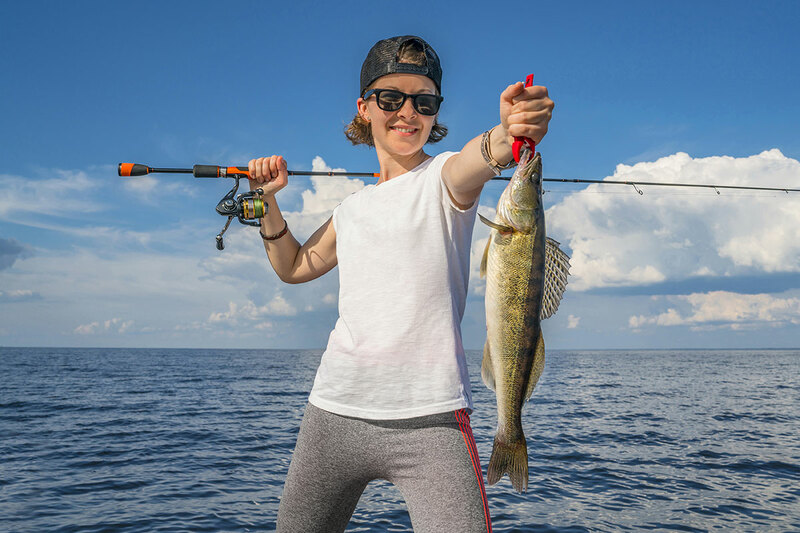 Trollers after walleye are doing fair down toward Alabaster in 25 to 40 feet of water or going to the north side of the Charities and fishing around the Steeples. Limit catches were common north of the Charities. Tawas River shore anglers were getting a few bass, catfish and drum. Weekly Fishing Tip: Do you know how to tell a bowfin from a snakehead? The nearshore areas of Michigan inland lakes can be great places for many types of fishing opportunities. 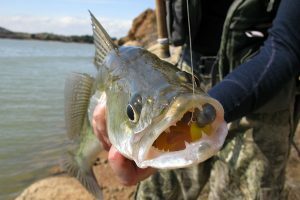 In early summer many fish, such as bass and panfish, concentrate in shallow-nearshore habitats to spawn. 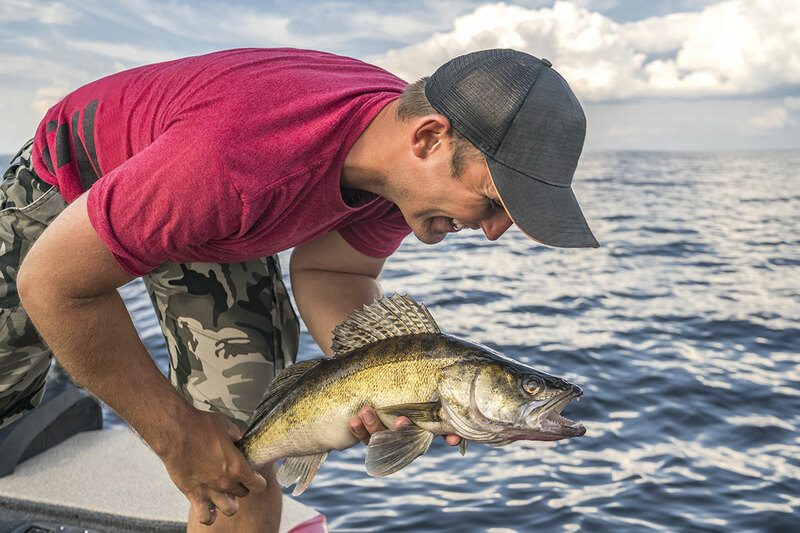 While fishing in these shallow areas looking for bass or panfish, anglers will commonly encounter another one of Michigan’s unique native fish species, the bowfin or also referred to as a “dogfish”. Bowfin have very different looking fins from other fish that anglers typically target and can catch many people off guard. Bowfins also look similar to an invasive fish, the snakehead, which if introduced can harm the native fish community by outcompeting other species for resources. To help assist anglers with correct identification Fisheries Division has developed a video to illustrate the differences between the native bowfin and the invasive snakehead. After watching the video, if you are still uncertain about the fish you caught and think you might have an invasive snakehead don’t hesitate to contact and report your fish to the DNR. Remember pictures of the fish are very useful when reporting. Snakeheads have not yet been identified in Michigan waters, but early detection is critical to prevent future effects on the state’s fisheries! This tip was written by Seth Herbst, Fisheries Management Biologist in Lansing.